Kids will play with pretty much anything (and usually things they’re not supposed to). So a group of architecture students decided to take a bunch of an enticing, yet usually off-limits items for children, and fashion them into a playground. The result is all sorts of awesome. What’s in your local playground? Some swings, a slide, perhaps a seesaw? 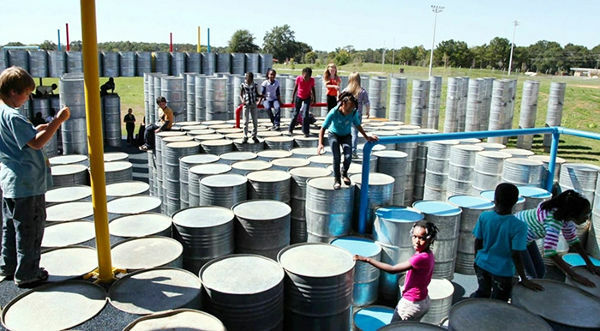 Some rather entrepreneurial university students have created a playground using galvanised drums. Sounds strange, but the kids love it. 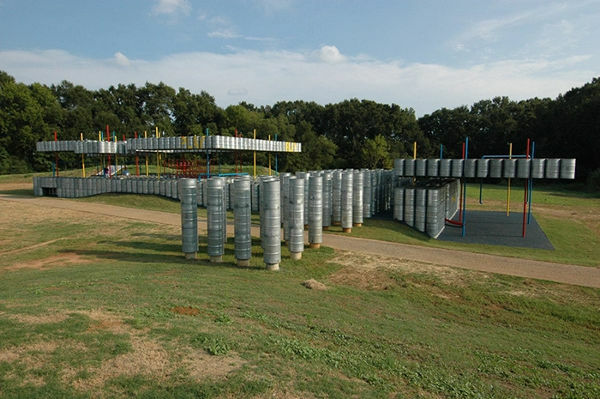 Lions Park Playscape, which is located in Alabama, is a maze created by Auburn University architecture students as part of the Rural Studio program. It’s a reciprocal, off-campus program that gives students design experience, and the local community more access to play areas. 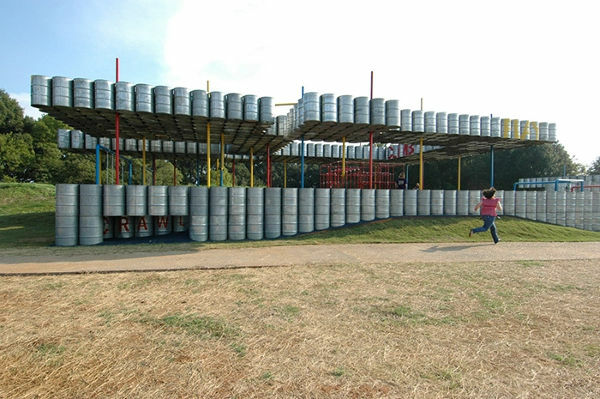 This particular project was created five years ago, and provides places for children to run, hide, jump and climb. There are also sensory rooms dotted throughout the maze, so there’s plenty for kids to discover. 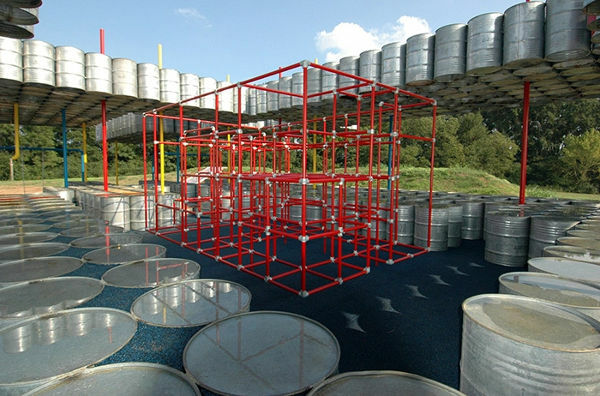 With its industrial edge, it’s a play space with a unique lure for children who are keen to feed their need for exploration. If you want to check out some of the other amazing projects created by the students, they’re listed at Rural Studio. 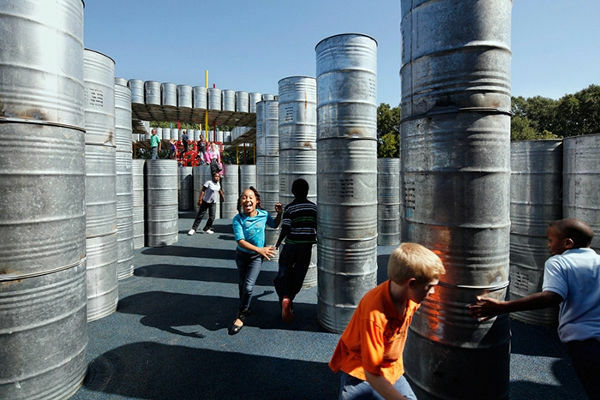 And if you’re keen to create a playground bucket list with the kids, have a look at our round-up of the world’s best play spaces.